Reynolds has been a recognized name in home cladding for decades. It was purchased by Norandex to form Norandex/Reynolds, expanding its line of premium home siding products immensely. 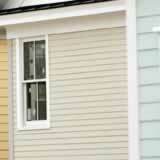 Despite its broad selection of materials, vinyl siding remains among the company's most popular options. Regional norms, the quality of the product chosen and whether you require installation or removal services will affect your final costs, so the only way to know for certain how expensive your siding project will be is to request a quote from a qualified local contractor. You can, however, use national averages to get a rough ballpark figure, which is precisely what follows. According to Consumer Reports, the most popular and highest-rated Norandex/Reynolds siding product available is Polar Wall Plus, which costs about $2.05 per square foot. Installation typically adds an additional $3 per square foot or more to your final cost, while the removal and disposal of your old siding adds another $0.50 to $1. That means that your final Norandex/Reynolds vinyl siding cost will likely range between $5.50 and $6.50 per square foot. Finishing touches, like soffit or fascia, increase cost. Request multiple quotes. Some contractors charge more for installation and removal than others. Do your research. Sometimes additional options, like premium colors or insulation, can impact Norandex/Reynolds vinyl siding costs. Know what products are available and choose one that meets your needs, but isn't needlessly pricey. Install your own siding. This is only an option for expert homeowners as mistakes can be more costly than professional installation would have been. With a little planning and comparison shopping, you can keep costs in line while enjoying the quality of Norandex/Reynolds vinyl siding.